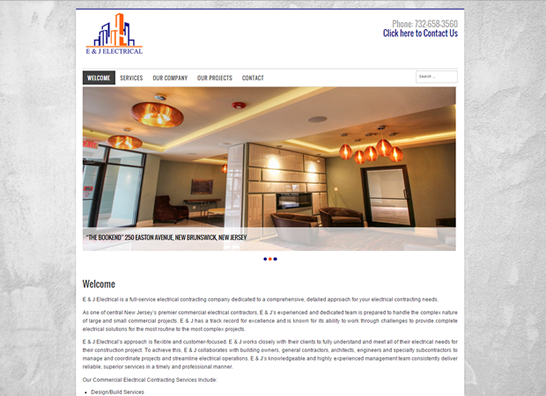 We have rebuilt E and J Electrical website using the newest version of Joomla. They wanted their site to have a corporate look, and display projects nicely. They also wanted the capability to easily add new projects to their site, and edit the text of their website. Joomla gave them all of this and more!